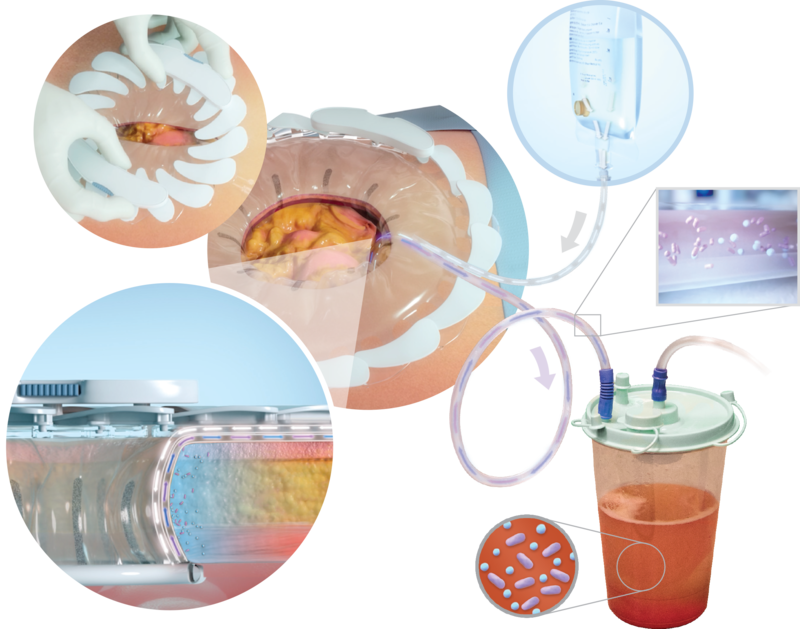 CleanCision is a first-in-class, advanced irrigating wound protection system that is used during surgery to fight and defend against the most pervasive sources of infection to maintain a healthy surgical incision. 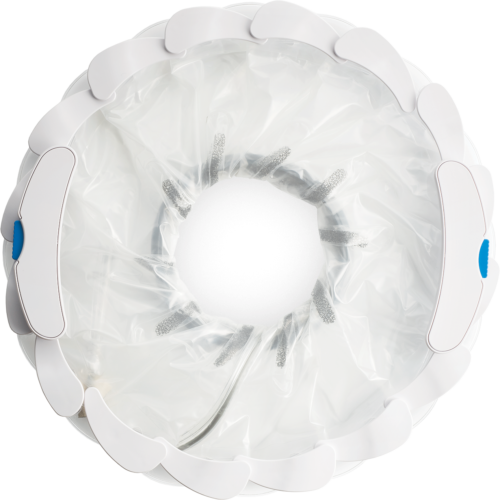 Now approved for abdominal surgery, which has a higher risk of infection, CleanCision utilizes innovative active cleansing technology -- combining wound irrigation, protection and suction into an intuitive system that consistently and continuous clears harmful bacteria that may invade the incision during surgery. CleanCision's microfluidic membrane is connected to a surgeon-selected fluid source and suction that delivers an active cleansing therapy which consistently and continuously cleanses and removes contamination from the incision. By removing the contamination, CleanCision helps eliminate the root cause of infection. Unlike traditional methods, which cannot continuously and consistently clear contamination from the surgical site, CleanCision has been shown to reverse and reduce these pervasive sources of infection,1 clearing harmful bacteria throughout surgery when the threat of wound contamination is at its highest. Developed by surgeons and infection control experts, CleanCision seamlessly integrates into evolving surgical workflow and infection control procedures. 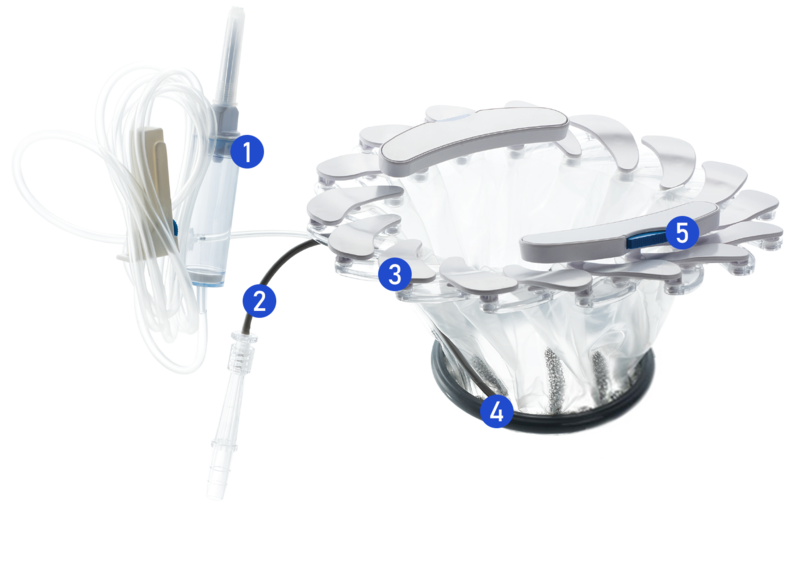 It is an intuitive, easy-to-use irrigating wound protection system that deploys quickly to immediately, consistently and continuously clear harmful bacteria that may invade the incision during surgery. Surgeon-selected fluid bathes incision to promote optimal outcomes. Wall suction connection removes contamination from the surgical field. Quickly and easily deployed, the unique design retracts widest range of incisions and connects to a microfluidic membrane that provides two layers of barrier wound protection. Anchors device and collects and removes excess fluid to avoid spreading contamination into the abdominal cavity. Precision-controlled fluid flow rate ensures consistent, continuous dilution, cleansing, and clearance of harmful bacteria at the wound interface. Reticulated foam ensures fluid flow under manual retraction. 1 Papaconstantinou, H.T., Ricciardi, R., Margolin, D.A. et al. (2018) ‘A Novel Wound Retractor Combining Continuous Irrigation and Barrier Protection Reduces Incisional Contamination in Colorectal Surgery’, World J Surg (Published online March 9, 2018) DOI: 10.1007/s00268-018-4568-z. 2 Suh I, Long SA, Coe J, Koehler J, Fry D, Welton ML. The Efficacy of a Novel Surgical Device in Preventing Intraoperative Wound Contamination in an In Vivo Porcine Model. J Laparoendosc Adv Surg Tech A. 2017. 3 Papaconstantinou HT, Ricciardi R, Margolin D, et al. Impact of Novel Wound Protection Device on Observed vs. Expected Surgical Site Infection Rates Following Colectomy Using the National Surgical Quality Improvement Program Risk Calculator. Paper presented at: WSA 2017 Annual Meeting2017; Scottsdale, AZ. 4 Preclinical data on file at Prescient Surgical. 5 Mueller TC, Loos M, Haller B, et al. Intra-operative wound irrigation to reduce surgical site infections after abdominal surgery: a systematic review and meta-analysis. Langenbecks Arch Surg. 2015;400(2):167-181. 6 Sajid MS, Rathore MA, Sains P, Singh KK. 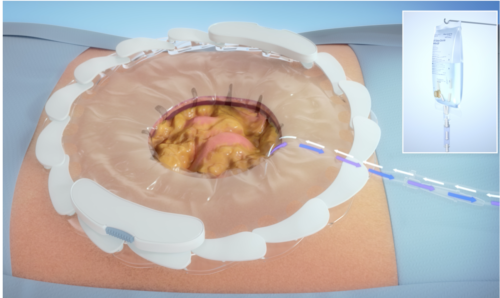 A systematic review of clinical effectiveness of wound edge protector devices in reducing surgical site infections in patients undergoing abdominal surgery. Updates Surg. 2017;69(1):21-28.